A seven-button rattlesnake found in a customer’s shed. 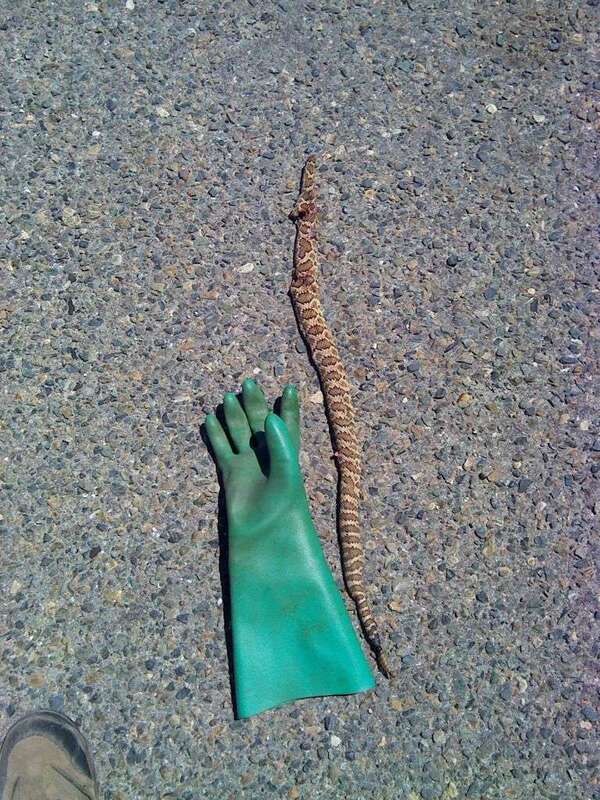 Trevor Cuthill removed the rattlesnake and killed it. Calaveras County, CA. July 2014. The Story: Around July 20th Trevor was at a customer’s house, for a mouse call. The rodent activity was in the tack room (where they keep horse equipment). Upon opening the door there was a 7 button rattlesnake along the back wall. 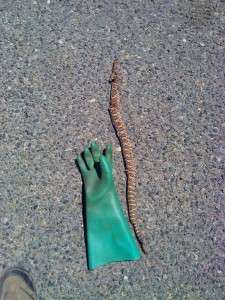 He scooped the snake up on his ‘webber pole’, removed it from tack room, and then killed it with a shovel.